Share your ideas wherever you go with Acer K138sti Portable LED Projectors. Discuss concepts, show videos on big screens and motivate others while you’re on the road -- without needing a computer. With models as slim as 1" (24.5 mm), the world of self-expression now fits in your pocket. The LED light engine lasts up to 30,000 hours in ECO mode, 20,000 at full power. Large images in confined space. 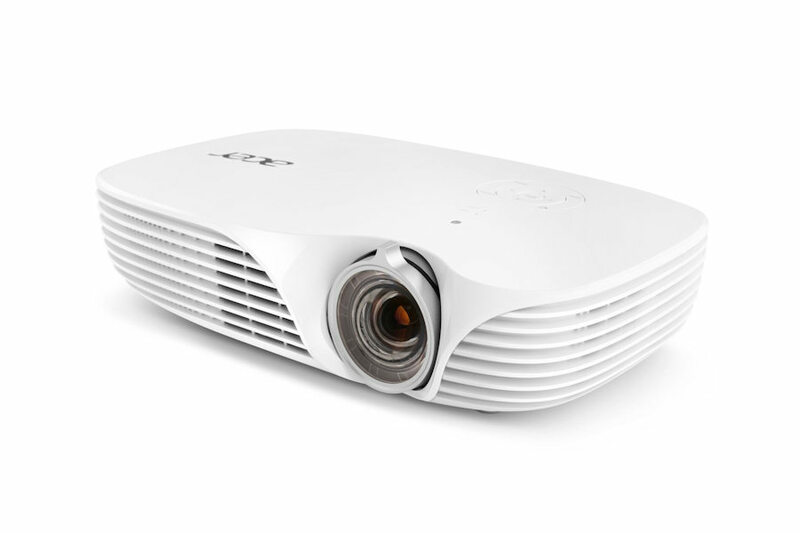 With the MHL connectivity, the Acer LED projector is capable of performing the uncompressed HDMI digital signals and multi-channel audio from an MHL supported smartphone. The charging capability from projector to the battery of smartphone is also provided. 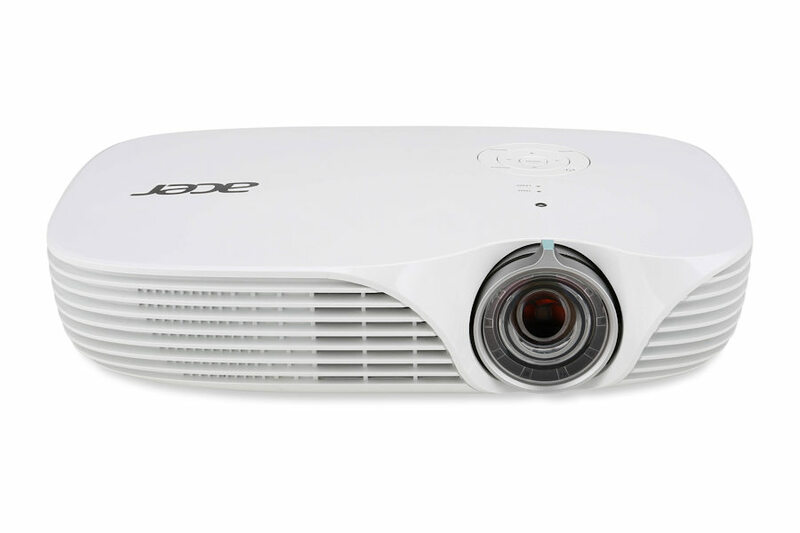 Furthermore, with the Acer unique MHL wireless adapter attaching to the MHL™/HDMI™ port, the projector can display the content wirelessly from a PC, Tablet, Smartphone or Set-Top Box with Miracast or DLNA WiFi Display capability. The Acer K138sti uses active shutter 3D glasses with 3D DLP Link. This allows you to purchase 3D DLP Link Active Shutter Glasses from Acer or any other brand using this technology. air one of those with the Acer K138STi, and you’ve got yourself a portable home theater! Better sound and portability isn’t all that Bluetooth has got going for it – since the Acer is a short throw, its placement will likely be in the middle of the room (in front of your seating area), and wired external speakers would have a bunch of dangly bits all around, hanging about in an unsightly manner. Bluetooth gives placement flexibility of the speaker, and without the tripping hazard. There are two ways in which one can wirelessly project using the Acer K138sti: WirelessCAST and the WirelessHD Kit. Both are optional. 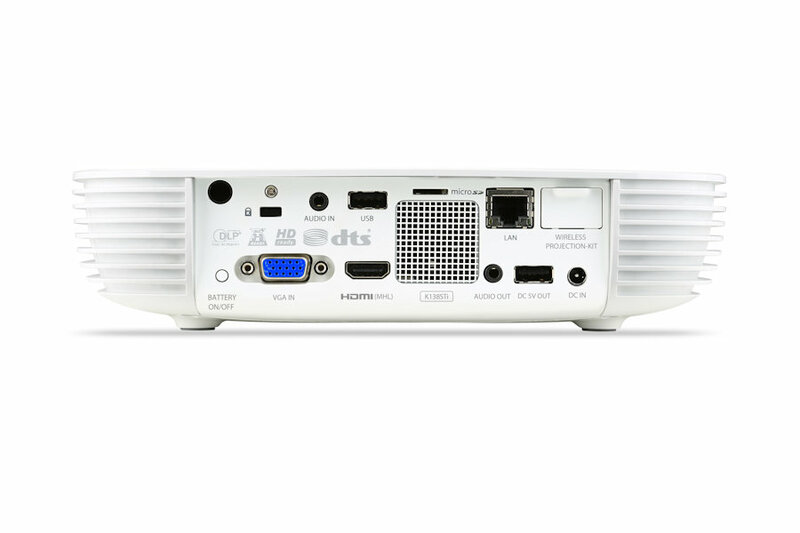 The WirelessCAST dongle allows for wireless projection from PCs and Macs. If you are running Windows XP, you can project video without audio, but Vista, and 7/8 all can project video with audio. It supports Mac OS X 10.8 or higher, iOS 7 and higher, Android 4.0+, and both iPad and Android tablets. The closest thing the WirelessCAST dongle relates to is Chromecast, though it is not a streaming stick in that you can’t stream Netflix or other services from the device. The WirelessHD Kit is more for the “cord cutters” among us – those who do not desire cables strewn about everywhere. Since the K138ST is a short throw, it will likely sit in front of your seating area, making it an awkward position for your gaming systems and Blu-ray players. With the WirelessHD Kit, you can place those devices anywhere you want in the room with no regard for where the projector lives. Nice. 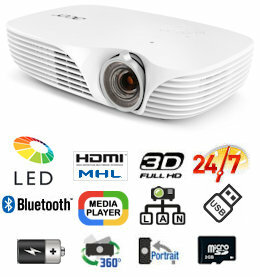 It comes with a transmitter that connects to your image source via HDMI, and a receiver to plug into your HDMI port on the projector. The signal is wirelessly transmitted between the two devices. 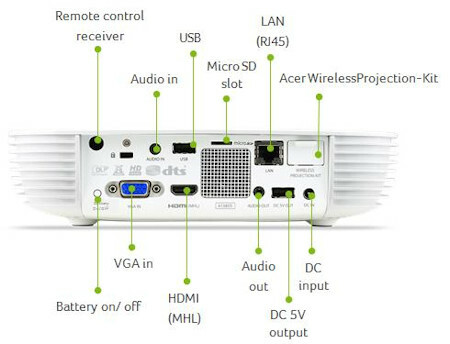 The WirelessHD Kit is capable of transmitting video and audio from a computer with an HDMI port. Lamps can blow, if you need your projector working and can't afford down time, you may need to keep a spare lamp. The replacement projector lamp for the Acer K138sti is the No Replacement.